Origin It is native to Asia especially in China. It was naturalized in Bulgaria, Argentina, Hungary, France, Romania, Italy, USA and Spain. Sweet Annie has been used for centuries in Chinese and European herbal medicine to treat painful childbirth and dysmenorrhea. This plant is native to Asia bearing small yellow flowers and feathery green leaves. 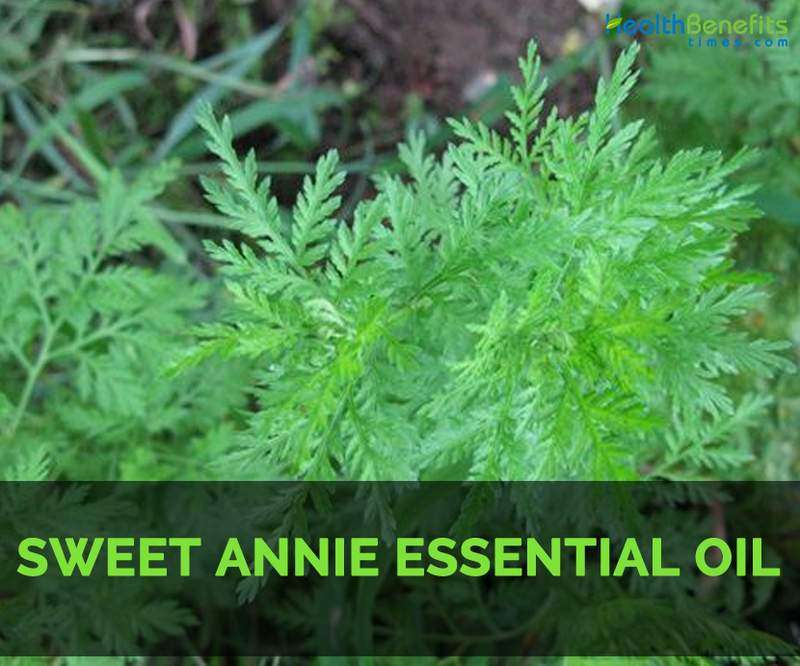 Sweet Annie plant has other common names such as Sweet wormwood, Annual Wormwood, Ch’Ou Hao, Kuso-Ninzin, Huang Hua Hao, Qing-guo, Ts’Ao Hao, Sweet Sagewort, Wormwood, Annual mugwort, Absinthe Sauvage, Annual Mugwort, Ajenjo Silvestre, Armoise Annuelle, Armoise Amère, Artémise, Artemisia, Artemisia annua, Chinese Wormwood, Artemisinin, Ching-hao, Herbe aux Cent Goûts, Herba Artemisiae Annuae, Huang Hua Guo, Qing Hao, Sourcil de Lune and Qinghaosu. The oil is extracted with the use of steam distillation of aerial parts. It possesses woody, dry and licorice scent. The color ranges from yellow to brown to green and blends well with jasmine, sweet orange, oakmoss and lavender. It is used in aromatherapy to treat menstrual discomfort, headaches, fungal skin infections and fevers. The inhalation of Sweet annie essential oil helps to treat nasal catarrh and congestion. It comprises of alpha thujone, geranyl propionate, beta thujone, myrcene, linalyl acetate, trans sabinol, sabineneand trans sabinyl acetate. It is native to Asia especially in China. It was naturalized in Bulgaria, Argentina, Hungary, France, Romania, Italy, USA and Spain. It was used for more than 2000 years in China for treating digestive ailments and fevers. This essential oil possesses cholagogue, anti-helmitic, digestive, deodorant, febrifuge, emenagogue, narcotic, insecticide, tonic and vermifuge properties. Botanically it is known as Artemisia Annua or Artemisia Absinthium. Sweet Annie essential oil has cholagogue property that discharges bile from liver. It assists in breaking down of food and supports digestion. It eliminates excess acid in stomach by providing relief from ulcers and acidity. Sweet Annie essential oil has thujone that provides the aroma and smell that resemble Thuja. Being an emenagogue, it promotes menstrual discharges and opens an obstructed menstruation that leads to cancer or uterine tumors. It provides relief from abdominal cramps, headaches, nausea, ache, regularize periods and lack of appetite. This essential oil has beta thujone and alpha thujone that counteract infections by eliminating growth of microbes. It also lowers fever. This essential oil has narcotic effects that calm down epileptic, hysteric attacks, nervous afflictions, stress, convulsions, insomnia and tension. The essential oil also eliminates tapeworms, roundworms and hookworms from the body. It assists in proper growth in children by stimulating the absorption of nutrients. Sweet Annie essential oil helps to tone organs and digestion that ensures proper nutrient absorption. It eliminates unwanted toxins and materials. It makes the nervous system more alert and active. It enhances immune system that prevents the diseases and infections. 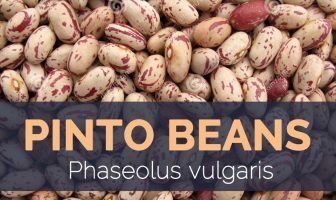 It is used to treat painful childbirth and dysmenorrhea. It is used in aromatherapy for treating fevers, menstrual discomfort, headaches and athlete’s foot. It is used in diffuser for treating respiratory infections. It is useful for treating jaundice, skin conditions and dysentery. Sensitive people might experience contact dermatitis. Nursing and pregnant women should avoid it. Not to be used for small children and infants. Dilute it with carrier oil to use on skin. The heart and brain patients should use it cautiously. This essential oil combines well with Clove bud, African bluegrass, rosewood, copal and yarrow. Native It is native to Asia especially in China. It was naturalized in Bulgaria, Argentina, Hungary, France, Romania, Italy, USA and Spain. It was used for more than 2000 years in China for treating digestive ailments and fevers. It is a treatment for painful childbirth and dysmenorrhea. It is used to treat fevers, menstrual discomfort, headaches and athlete’s foot. It is helpful for respiratory infections. It is a cure for jaundice, skin conditions and dysentery. Nursing and pregnant women should not use it. It should not to be used for small children and infants. It should be diluted with carrier oil for use. The heart and brain patients should consult the doctor. Other Facts It is combined with Clove bud, African bluegrass, rosewood, copal and yarrow.